It’s not everyday that you see a 15 year old driving around the track in a miniature Dodge Avenger. Look out NASCAR, we have a new competitor on the horizon! At just 8 years old, Hannah Brown started out in the Jr. Racing League at Delaware Speedway. With no racing experience whatsoever, she placed 13th in the mostly male dominated Jr. Division. If this doesn’t give you enough motivation to make your dreams come true, now is a good time to believe. As the years went by, Hannah became more experienced at doing what she loved and proudly earned the respect she deserves today. 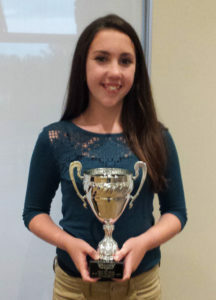 Hannah’s eagerness and performance led her to win the Sportsmanship of the Year Award in 2013 and 2014. The year 2015 was Hannah’s last year before moving up to the senior Division at Delaware Speedway and during this time Hannah collected multiple top 3 finishes and earned herself 3rd place in the championship points. In 2016, Hannah represented Bring It! The Bring It Conference is a one day conference held at Brescia College, which encourages young women to Be Confident. Be Bold. and to Be You. As the Bring It Ambassador, Hannah spoke to an audience of 300 young women about her racing career and how racing has allowed her to build confidence in herself. 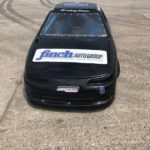 As the 2016 season rolled around Hannah started her journey in the Senior Division at Delaware Speedway. She learned how to race against older and more experienced drivers, which lead her to try something newer and faster. 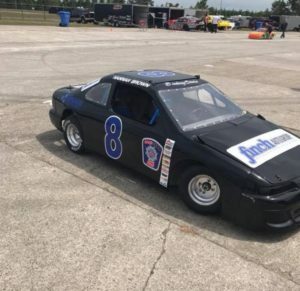 Hannah traveled to Grand Bend Speedway, Full Throttle Speedway, and Suable Speedway where she placed in top 10 at each destination and placed 5th overall in the championship. In 2017 Hannah decided it was time for a change and switched back to her home track where she is now learning more and more every race. 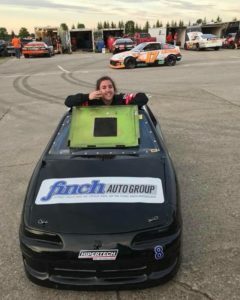 Finch Auto Group proudly supports Hannah and and her racing experience and wishes her the best of luck with her racing endeavors.